This is a unique and patented* solution to the common thermostat retrofit problem of missing or broken wires. The auxiliary switch multiplexes control signals over as few as two existing wires without any limitation on power consumption at the thermostat. 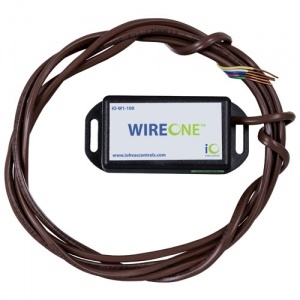 This solution ensures you have a reliable communication link to the thermostat.